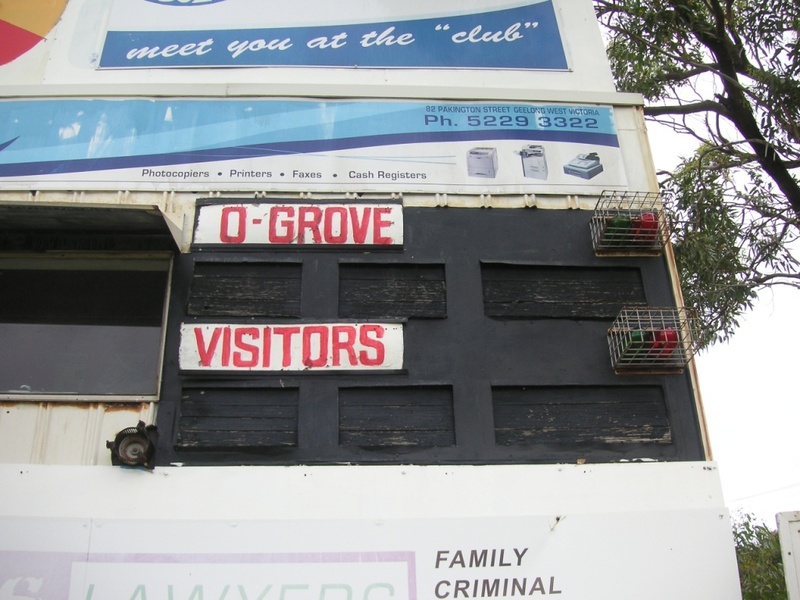 The scoreboard at Ocean Grove’s Memorial Reserve has been standing for at least 30 years. The scoreboard includes an old siren and red and green lights, presumably to acknowledge signals from the goal umpires. 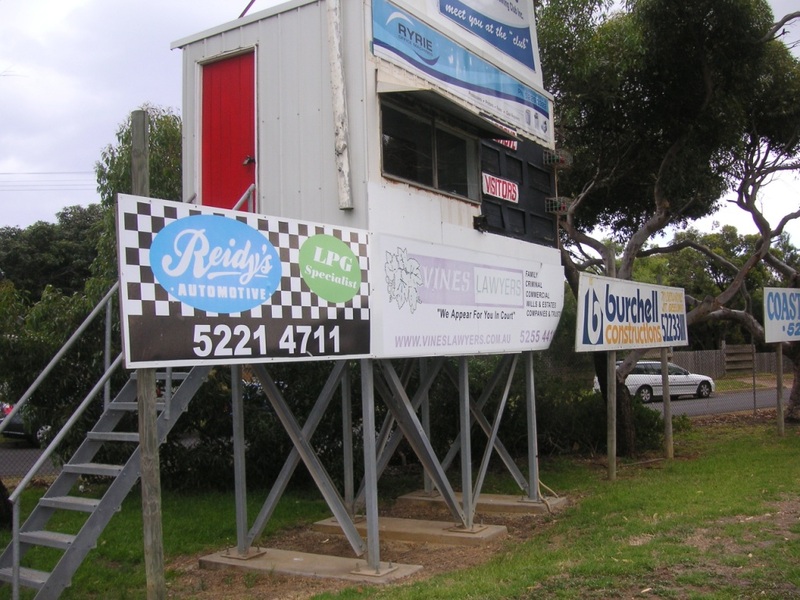 Ocean Grove is a strong club in Victoria’s Bellarine Football League. Technically the footy team are the Swans (note the red and white lettering) but the club is colloquially known as the Grubbers, due to the ground being on Grubb Road.